I told you Second Bar + Kitchen was so nice, I went twice. And even though I had no idea what day it was, luckily Chef David Bull did... It was Brunch Day! We ordered up the bread basket... But before you yawn... 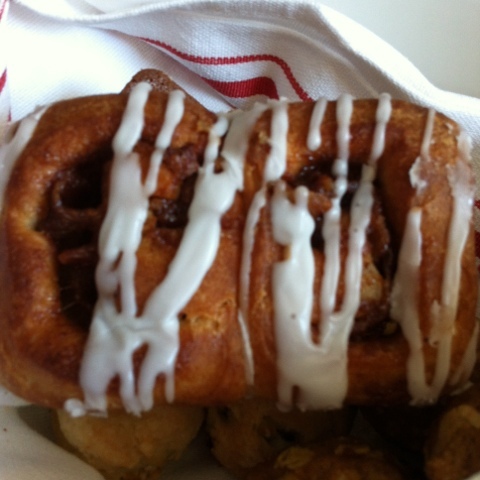 It contained bacon cinnamon rolls. I defy you to stay carb free when faced with that. 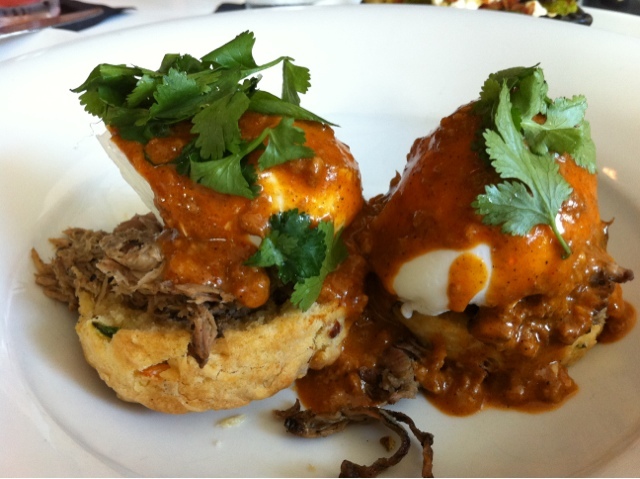 Next up, the Texas Benedict which was poached eggs over pulled pork atop a jalapeño cheddar biscuit... Smothered in chorizo gravy. Don't judge, I split it. And ordered a vegetable. 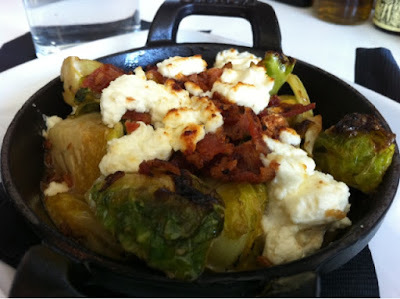 The Brussels sprouts... With bacon and cheese. Check it out if you're in Austin. Lookin at you Beth, Chris, Chris and Rachel.